Easily open bottles of wine with the Final Touch Waiters Friend corkscrew. This ratchet lever action corkscrew is constructed from long lasting metal gears. 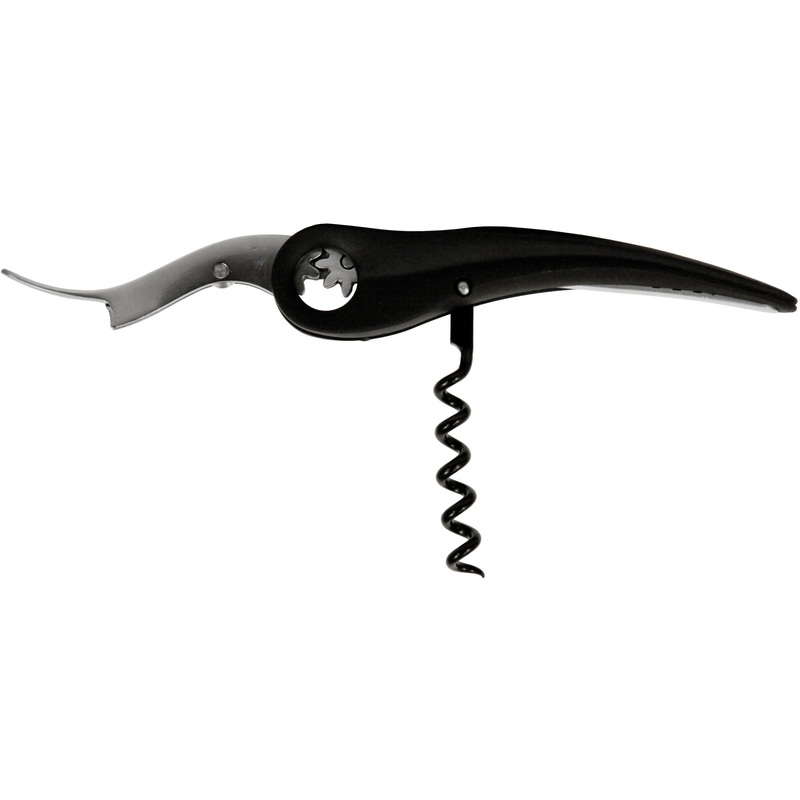 With a built in foil cutter, it has a black soft touch handle and a specially coated worm to remove any cork. As sleek and stylish as it is functional, this durable corkscrew is built to last.